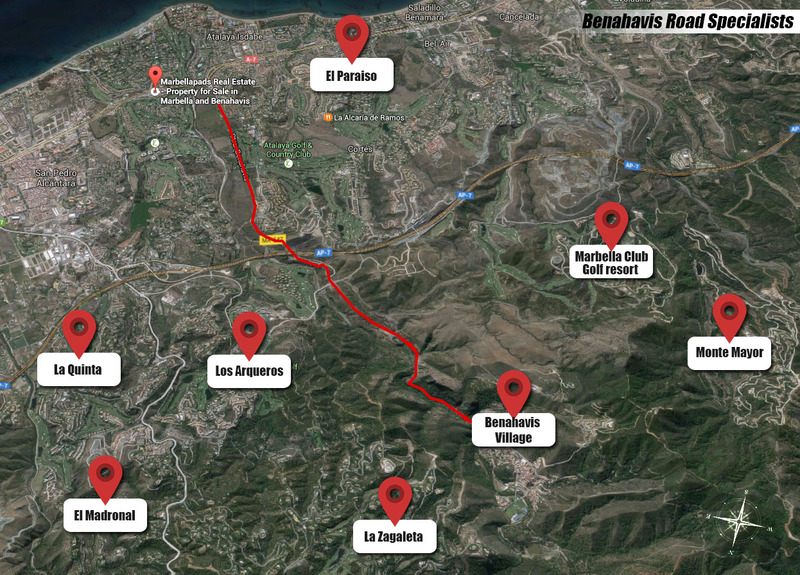 The stretch of road that connects the A-7 highway and coastal road with Benahavis village has a number of apartment resorts branching from it. It has become know for its superior quality builds and luxurious facilities to match the beautiful backdrop provided by Benahavis and its surroundings. Benahavis itself has gained a reputation for its beauty and gastronomical delights. The village is filled with a number of exceptional restaurants and traditional Spanish eateries. There are several parks and children play areas each blending in with the natural surroundings. The properties here are crafted in a similar way, maximizing the surroundings to seamlessly merge together. El Casar is an example of this with its unique contemporary design built in to a steep hilly backdrop. Marbellapads are perfectly positioned in the area to provide unrivaled advise and expertise on all aspects of buying a property here. We also work in a private network of agents which allows us to offer 95% of all the apartments currently for sale in each resort. This saves time for both us the agent and yourself the buyer, as we can arrange all the viewings for you taking out the hassle of dealing with numerous agents. With access to 95% of properties for sale in Benahavis, we are the only agent you need! We also have a proven track record of sales in the area, known as the number one agent for sales on Capanes del Golf, another luxurious development in the area. 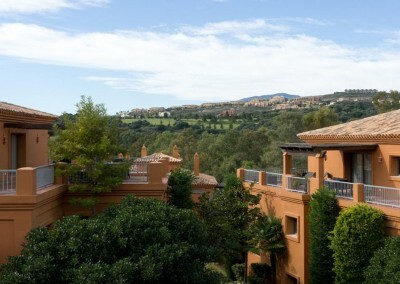 Click here to view all the best villas for sale in Benahavis. Uniquely positioned at the bottom of the Benahavis road, and working closely with banks, developers and other realty agents, Marbellapads can boast access to almost every property currently for sale in the area. Simply tell us the name of the resort you like most, or send us your basic requirements list, including budget and preferences, and we will be able to quickly send you an up to date list of properties that are for sale. 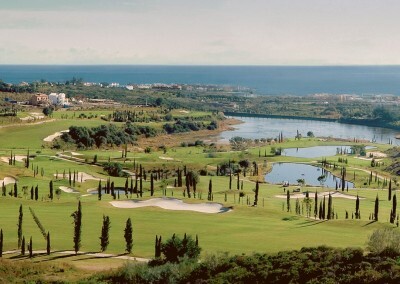 To the left you will see a number of resorts that we consider to be the best of Benahavis. The developments are affordable, and luxurious with facilities to match and a location that ranks up there with the best in Europe. On site facilities vary depending on the resort, but you can expect underground parking and swimming pools at the very least with others boasting gyms and indoor pools. 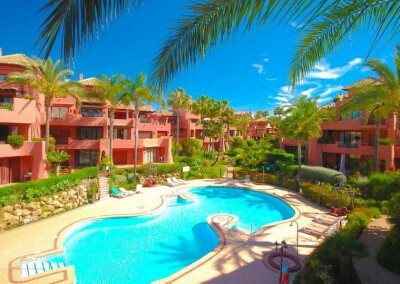 Enjoy the good life with a large luxury apartment in one of the most beautiful locations on the Costa del Sol. If you are interested in the properties for sale in Benahavis, please register your details or contact Us on the following: E: enquiries@marbellapads.com T: +34 952 882 775 M: +34 616 171 125 Please provide as much information as possible with regards to your enquiry so we can answer all your questions.